What is the function of electrical control system in concrete mixing station? The different equipment play different role in the concrete mixing station. But what is the function of electrical control system? 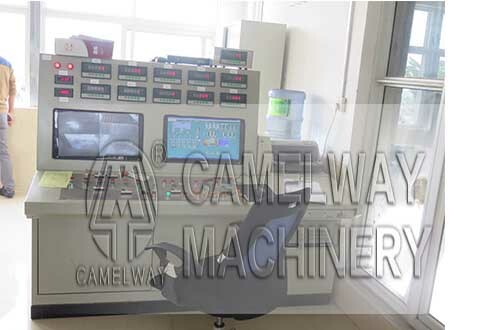 Zhengzhou Camelway Machinery manufacture will give you the answer. First, when producing concrete, electric control system can finish all process and doesn’t need too many managers at the scene. Second, when he weighing system of concrete mixing station is equipped with zero in the output, the electric control system can initiative to tare and correct the divide. And it can control the accuracy of quantity. Third, electrical control system is convenient to operate, and can accurately adjust and correct the value of each material. Fourth, electrical control system has perfect self-locking and interlock function. It can ensure system accuracy and stable running. It also has the function of checking and alarming. Fifth, electrical control system can guarantee the sensitivity of the light. Zhengzhou Camelway Machinery manufacture is one of the large-scale enterprise specializing in construction machinery. The company has an extensive user base in the country, enjoying a high popularity. Some products are exported to Vietnam, Laos, Kazakhstan, Mongolia, Russia, Cuba, Brazil and other countries, being highly praised by foreign friends. If you want to know more information about the concrete mixing station or buy it, you can contact us.